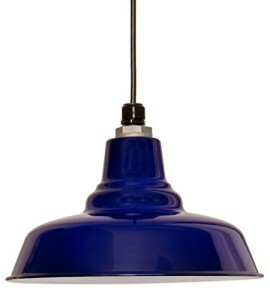 The many personalities of the color Cobalt Blue are fascinating. 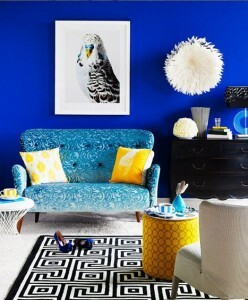 It isn’t a color faithful to one particular style; it can be beachy, moroccan, vintage or eclectic. It’s versatility is precisely why the Jigsaw Designers love working with it. A cobalt wall is a bold move, but when paired with white it is a modern take on a classic style. 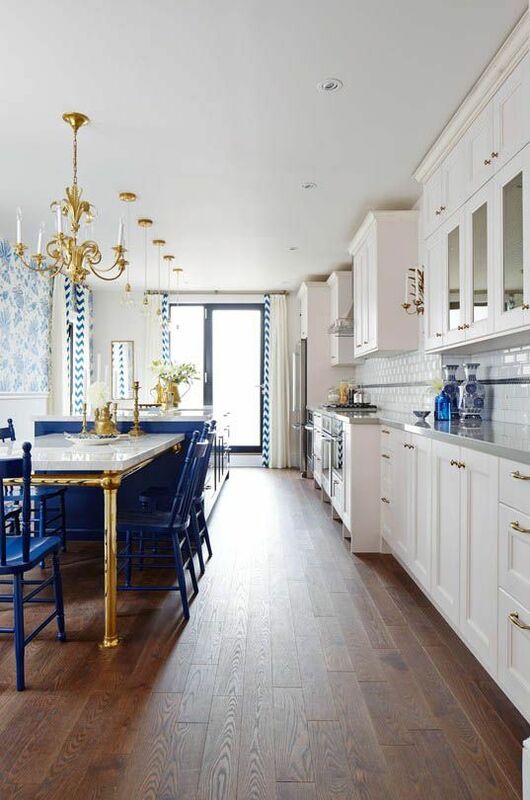 These bright blue walls with white molding take this room from traditional to trend setting. 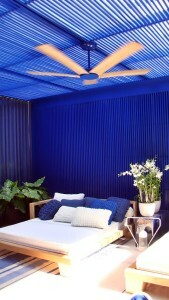 Break the typical rules of complimentary colors and pop a cobalt and white bedroom with purple. 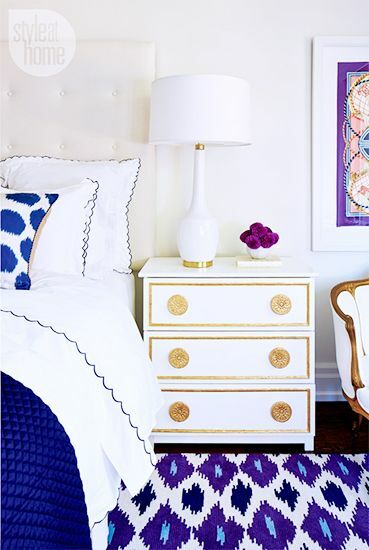 This surprising duo is outstanding in this bedroom with a fun ikat rug. 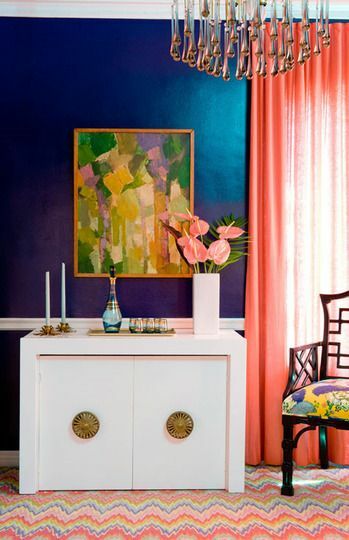 Cobalt also plays well with turquoise and multiple shades of blues, as well as with soft orange based tones like salmon as you will see in the gorgeous room with metallic cobalt walls and salmon drapes. Adding a color as bold as cobalt can often require baby steps for some of us. 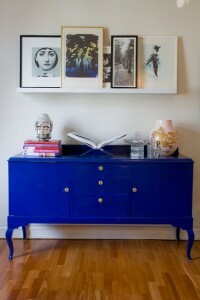 Start simple by updating your buffet or dresser for a DIY project? Placing your piece against a bright white wall will with a quirky piece of art and uniquely displayed pictures for a boutique hotel vibe. 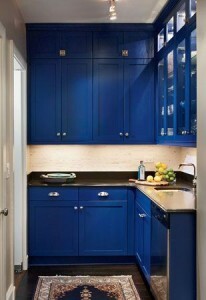 Blue in the kitchen is a fresh take on what we’ve seen in grey so often lately. From a vintage look with gold hardware, to sleek glossy cabinetry these kitchens are cozy with a big splash of color. Touches of cobalt throughout your space can be added easily with pendant lamps, tile work or rugs to get a touch of this bright trend. 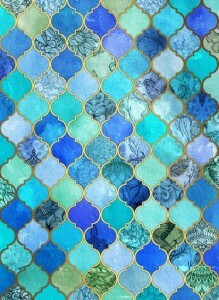 We love this moroccan tile with multiple shades of blue for a master bath. 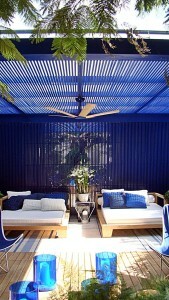 As life seems to get busier and busier, we all need a vacay for a little R & R, and this is the time of year for it. 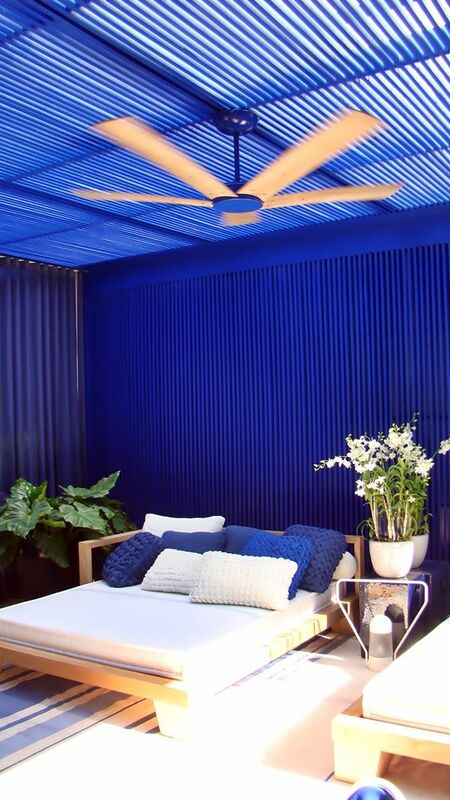 But, why not live like you are on vacation every day of the year in a vacation style home and add a bit of calm to your life. 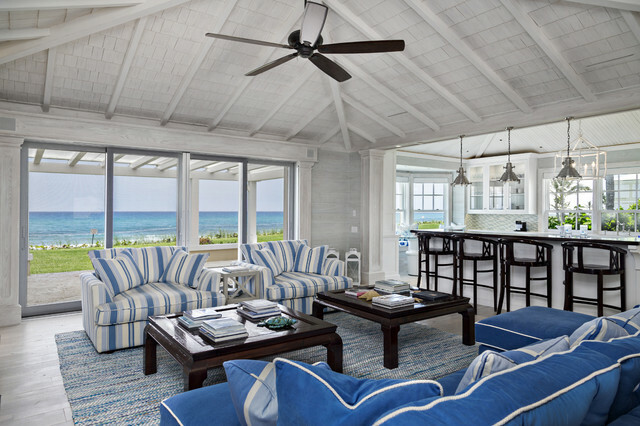 The style and grace of a vacation or resort style home starts with color. 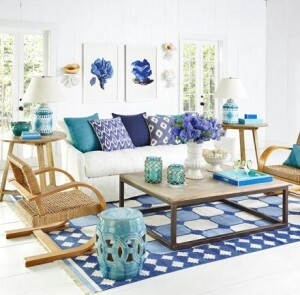 Whites, neutrals and blue colors from the sea and sky will make you feel refreshed and relaxed. This beach retreat is bathed in all white with natural wood touches throughout creating an environment to put you at ease. For quintessential beach cottage style keep everything crisp white and blue with touches of dark wood to anchor the room and silver or nickel finishes on metal. 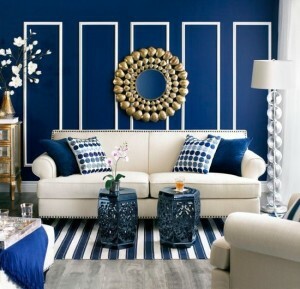 Blue and white stripes make nice finishing touches for throw pillows, rugs or even drapes. 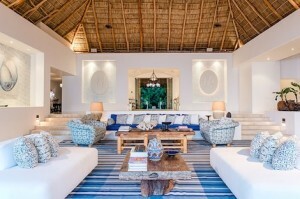 Luxury by the lake is another vacation style inspiration we are loving at Jigsaw. 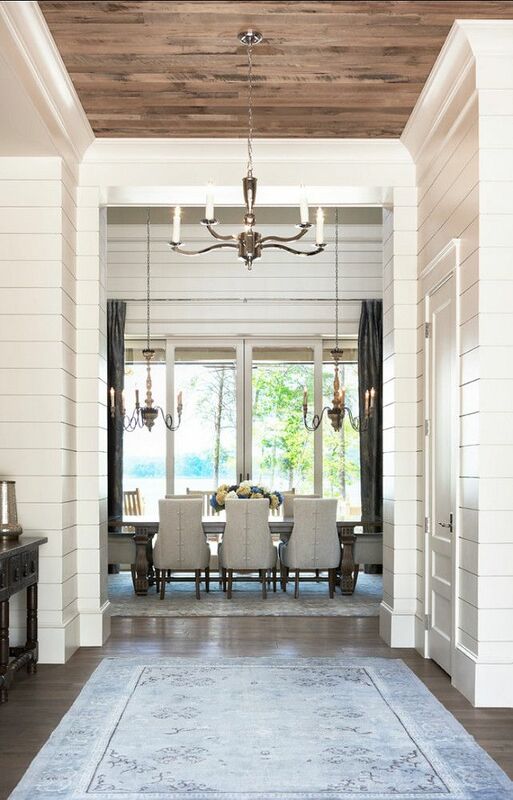 With bead board throughout hallways and common areas that are reminiscent of a boat house, this look is easy to keep tidy. 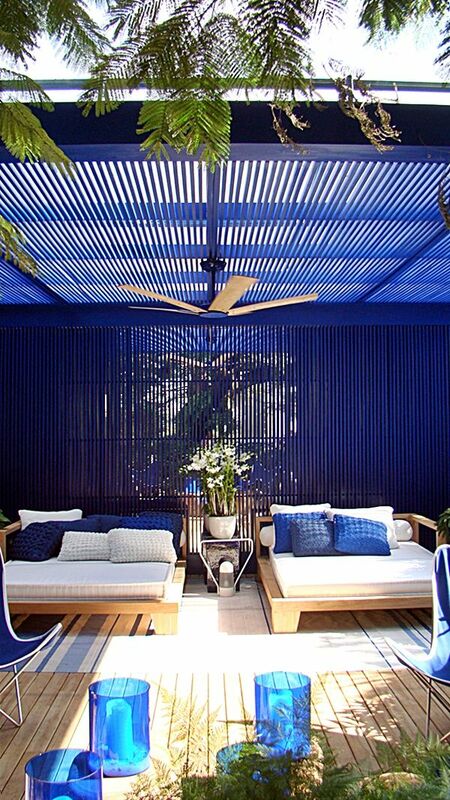 Use neutrals throughout with touches of blue and natural wood to bring the outdoors in. 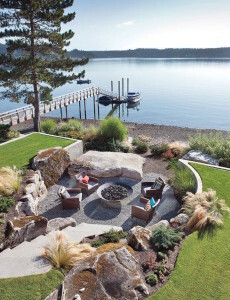 The Jigsaw Design team are big fans of the free standing tub, and this lakeside bathroom is truly a retreat with high vaulted ceilings, all white washed colors, yard after yard of white linen drapes all opening onto a gorgeous view. If it’s the mountains that you crave, then the ski house is the perfect vacation style home to emulate if you seek something with more warmth and coziness built in. This stunning bedroom in the French alps created with clean modern lines that are warmed with the black walls and layers of texture-the soft duvet, tufted bench and silk rug. All of these vacation style homes have a common thread among them while remaining so different. 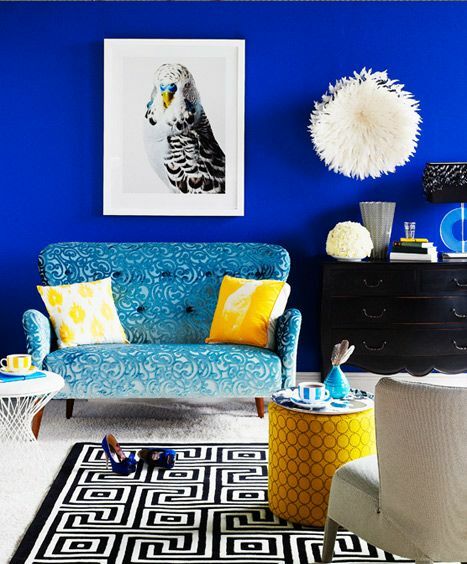 There is no clutter, mail or papers in sight, and the decor is kept to a minimum with little or no tchotchke…and yet their is still so much to enjoy about each space. 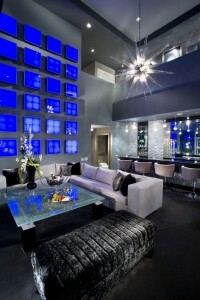 For more information on home design and resources visit the contact page on the Jigsaw Design Group website at www.jigsawdesigngroup.com. Someone will quickly contact you with more information. Please subscribe to the blog for more informative articles like these, and check out our Facebook page for more tips and images! 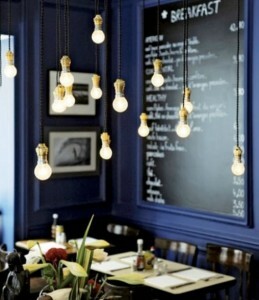 Be sure to ‘like us’ on Facebook! Now join us on Googleplus too!